Summit day is D Day on Kilimanjaro. The toughest mentally and the most demanding physically. From waking in the early hours in pitch black and sub-freezing temperatures to collapsing exhausted at camp at the end of the day, there is no respite. But what a reward. Here is what to expect. 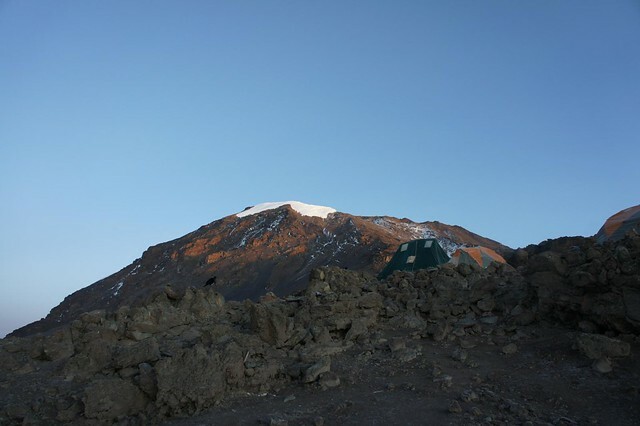 Whichever route you choose, you’ll be spending the night before summit at an altitude of around 4,600 – 4,700m. At this altitude there are three serious impediments to sleep, (1) Cold overnight temperatures (well below freezing) (2) Altitude Sickness (mild head-aches and mild nausea if you are lucky) and (3) anxiety about the climb ahead. Still, sleep you will and for those attempting a sun-rise summit, you’ll be setting off in the very early hours (after midnight). 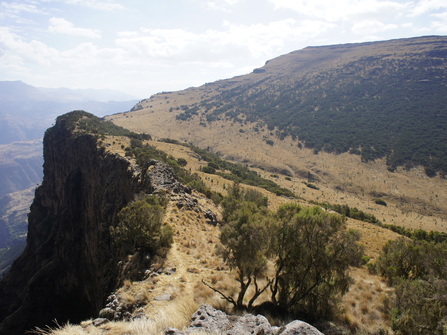 The climb can be divided into two, the first ascent to the rim and then the traverse around the rim to Uhuru Peak. 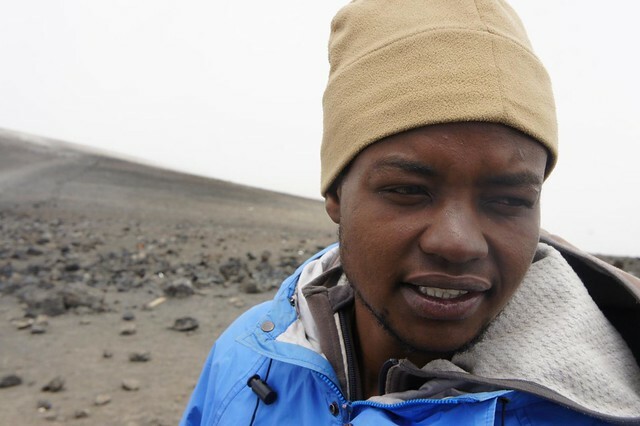 Machame reaches the rim at Stella Point (5,685m) whilst Marangu reaches the rim at Gillman’s Point (5,681m). You’re looking at a climb of around 1,000m in altitude gain from camp to the rim. This section involves a slow tack up the scree that, in the dark at least, affords little views other than the countless head torches of your fellow climbers snaking up the mountain. 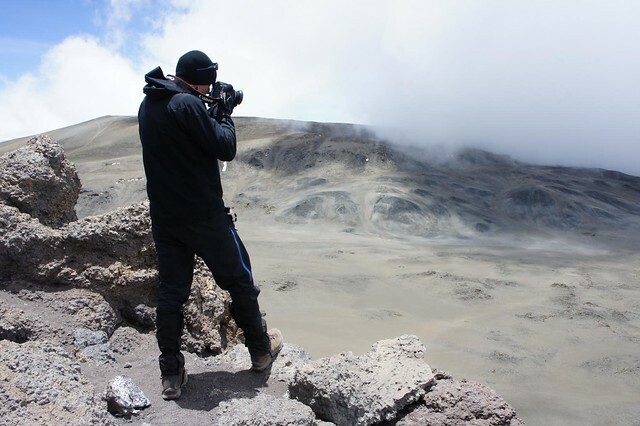 Reaching the crater rim offers the most visceral sense of having summited Kili. Many climbers, having hauled their unwilling bodies to this point, would quite happily call it a day here. It is not an unusual site to see trekkers flat out on their backs, whilst their guides try to cajole them back on their feet. It is a very bad idea to lie down at this point. A quick photograph, a snack and up is the safest approach. Depending on your route, the crater rim traverse can take 1 – 2 hours. If it weren’t for the prior exertions and extreme altitude this would be little worse than a walk in a City park. Unfortunately at this stage, legs are heavy, oxygen is scarce and temperatures are low. 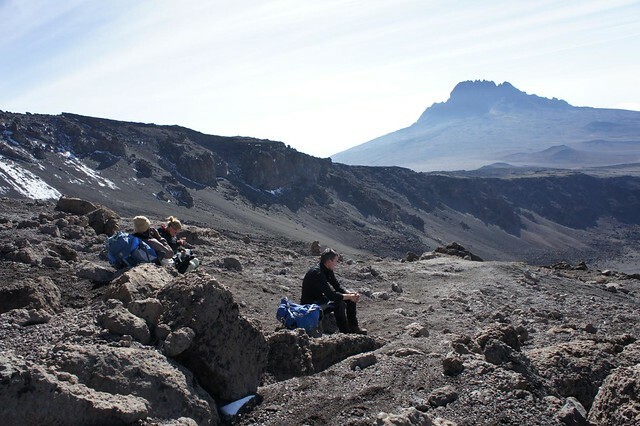 The view can be incredible, with the lunar landscape of the crater itself to one side, the dramatic glaciers and if you are lucky, far reaching views over the plains of Africa. 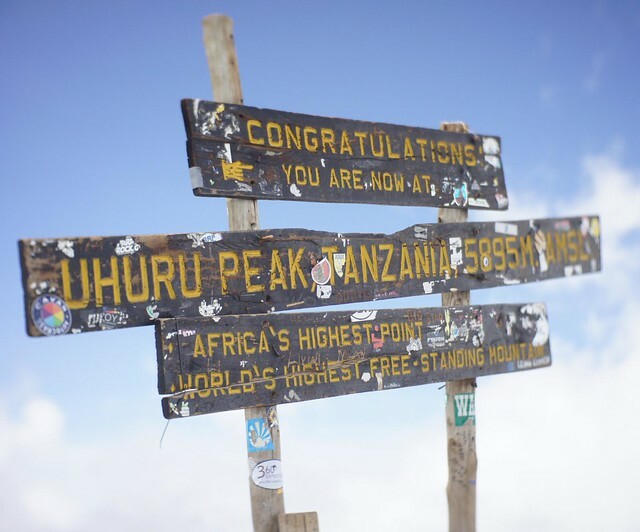 Uhuru Peak is the highest point on the rim and at an altitude of 5,895m, the highest point in all Africa. Depending on when you summit you may have to queue to get your de riguer summit photo in front of the jauntily angled summit sign. There are several poignant memorials at the summit, but a surprisingly scarce sense of drama. The emotion experienced by most is one of pure intense relief at having made it. 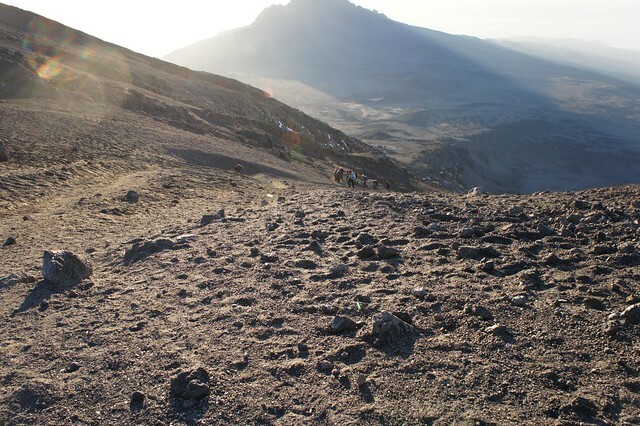 Uhuru Peak can often be crowded, especially at dawn, when most trekkers aim to summit. A recommended alternative is to consider summiting in the day. Leaving camp around 6am, you can expect to summit after noon with few other people around. The only drawbacks are that there will be a greater likelihood of low lying cloud cover and you won’t catch the sunrise from the peak. For many these are small compromises. 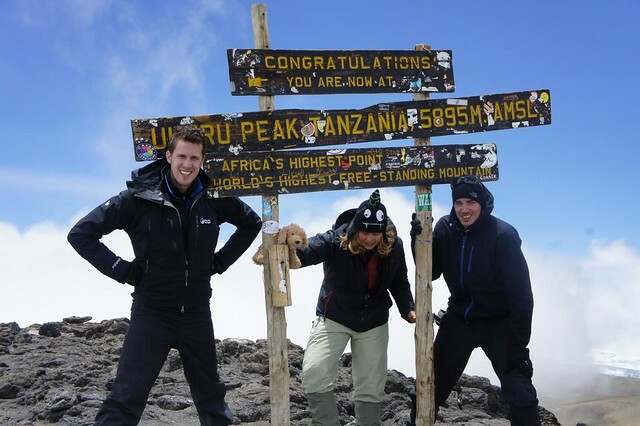 Climb Kilimanjaro via the Machame route (6 days) with one of the most experienced teams on the mountain. Climb Kilimanjaro via the wilderness of this pioneering Lemosho route. TK Lemosho offers great wildlife, wilderness and acclimatisation. 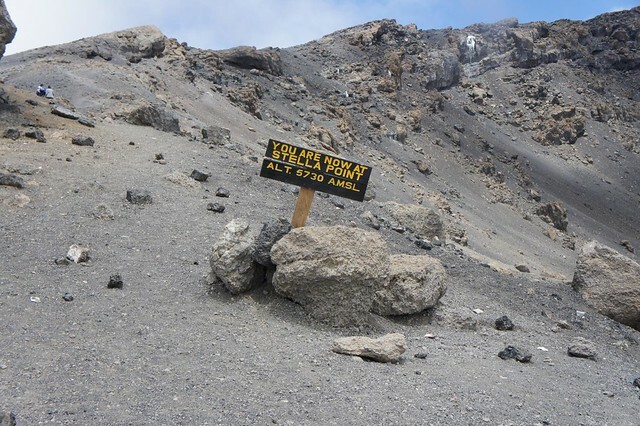 Climb Kilimanjaro via the exclusive Rongai route, with fewer crowds and the best summit success chances. A holiday of two halves; summit the challenging but majestic Kilimanjaro before relaxing on the white Zanzibar beaches at a laid back beach lodge.